It's so fun to get to play with all the new products here at iLoveToCreate! 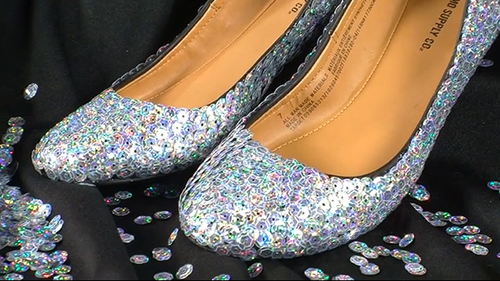 When I was asked to make a pair of sparkly shoes using the new Tulip Fashion Sequins, I was so excited! 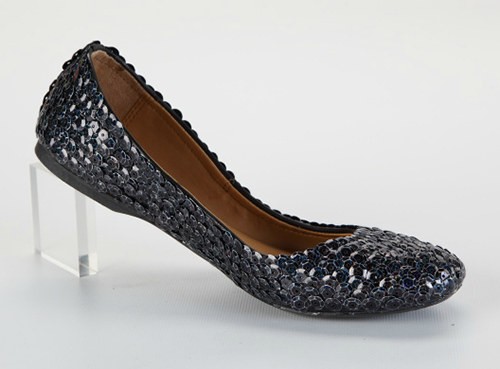 Every girl needs a pair of shimmery shoes, don't you think? Watch my video above -or- follow my simple steps below! Start by applying a generous amount of the Tulip Fashion Glitter Bond to the area you are going to cover with sequins. 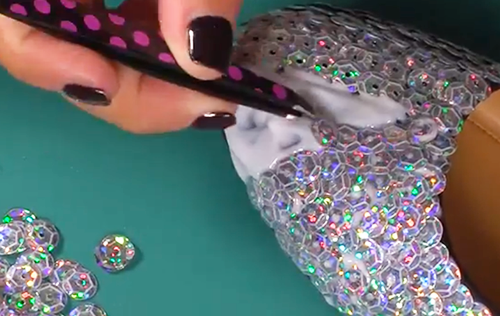 Only apply a little bit at a time, so that your glue doesn't dry before you apply the sequins. Use tweezers to pick up your sequins individually. 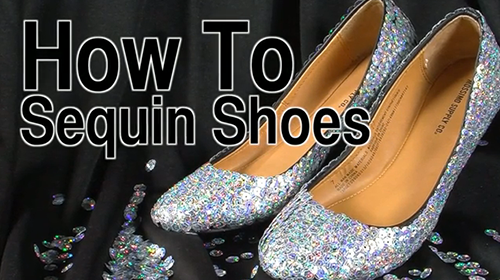 Apply the sequins side by side and let them slightly overlap, almost like fish scales. This looks time-consuming, but it only takes 1 hour to make a shoe - something you could do while you're watching TV or a movie! And a closeup on the toes. 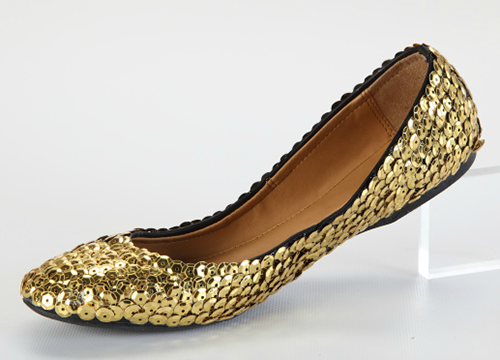 And here's what it looks like in gold & black! 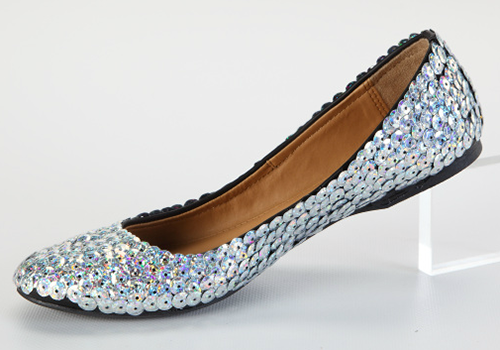 Which color of sequin shoes would you like to make?